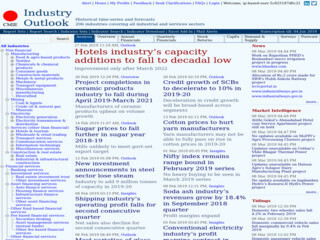 Industry Outlook is a comprehensive service that provides detailed information on Indian industries. It includes the mining, manufacturing, utilities and services industries. A total of 193 industries are covered.